Seeing that this debate of women’s ordination is a hot topic within the Adventist denomination right now, and seeing that many Adventists view Ellen White’s writings as being inspired by God, it would seem privy to see what she has to say on the subject. First of all, it is slightly ironic that many who argue that we are not to receive spiritual authority from a woman and believe it is unbiblical, have no issue at all receiving authoritative teaching from this woman – Ellen White – and this authoritative teaching is received and utilized by reading and quoting her writings. But that is beyond the point. Ellen White has some very interesting things to say about women in ministry, especially since most of what she said was written in the late 1800’s and early 1900’s. Included below are some of the most prominent quotes on the subject of women in ministry roles. Just as we need to use good hermeneutic skills in the usage of reading and interpreting the Bible, the same is true of any source. And so, with that being said, context is a huge element to take into account when understanding statements or quotes from authors. When Ellen White uses the term “ministry”, she is either referring to canvassing ministry, medical ministry, or pastoral ministry. All of the following quotes are only taken from the context of pastoral ministry. “All who receive the life of Christ are ordained to work for the salvation of their fellow man.” (Desire of Ages, page 822 – Emphasis mine). “It was Mary that first preached a risen Jesus…if there were twenty women where now there is one, who would make this holy mission their cherished work, we should see many more converted to the truth. The refining, softening influence of Christian women is needed in the great work of preaching the truth.” (Evangelism, pg. 472). Woman, if she wisely improves her time and her faculties, relying upon God for wisdom and strength, may stand on an equality with her husband as adviser, counselor, companion, and co-worker, and yet lose none of her womanly grace or modesty. She may elevate her own character, and just as she does this she is elevating and ennobling the characters of her family, and exerting a powerful though unconscious influence upon others around her. Why should not women cultivate the intellect? Why should they not answer the purpose of God in their existence? Why may they not understand their own powers, and realizing that these powers are given of God, strive to make use of them to the fullest extent in doing good to others, in advancing the work of reform, of truth and real goodness in the world? Satan knows that women have a power of influence for good or for evil; therefore he seeks to enlist them in his cause. — Good Health, June, 1880. “Injustice has sometimes been done to women who labor just as devotedly as their husbands, and who are recognized by God as being necessary to the work of the ministry. The method of paying men laborers, and not paying their wives who share their labors with them is a plan not according to the Lord’s order, and if carried out in our conferences, is liable to discourage our sisters from qualifying themselves for the work they should engage in. (Manuscript Releases Volume 5, pg. 325). So it is clear, according to the above statement, that ordination is merely a human recognition of something that God is ALREADY doing in a person. So what gives us the right to say who we will or won’t “ordain” when God has already done the ordaining? Perhaps we really, instead of talking about who should and should not be ordained, should be discussing our whole practice of ordination in general and whether or not it’s even Biblical. In fact, what if ALL people were considered commissioned ministers already, and God is using them regardless of whether or not human hands are placed on them? It seems to be the case, according the the Great Commission in Matthew 28:18-20 and Ephesians 1:21-23). God is the One will ALL AUTHORITY, and He is the Head, and we ALL, regardless of gender, are under Him. The very fact that He can use us at all, in all our brokenness, is truly miraculous. 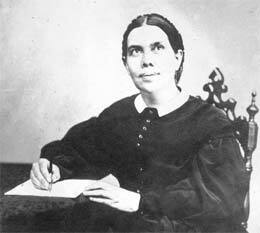 In closing, Ellen White was a leader beyond her time. She faced opposition herself for following her calling from God. She writes about an experience where her brother did not want her to be a female preacher. He wrote to her imploring, “I beg of you, do not disgrace the family. I will do anything for you if you will not go out as a preacher.” Ellen White wrote back, “Can it disgrace the family for me to preach Christ and Him crucified? If you would give me all the gold your house could hold, I would not cease giving my testimony for God.” (Signs of the Times, 24 June, 1889, 2, emphases added). NOTE: For more info, check out this article entitled “A Power That Exceeds That of Men”: Ellen G. White on Women in Ministry“, which is chapter 10 from the book, Women in Ministry, Special Committee, SDA Theological Seminary. No time to loose focus. I agree, especially after listening to Elizabeth Talbot last Sabbath, that women becoming ministers is a calling. She spoke of being called to preach at a very young age. Still, although ordination may be a human addition to the role of minister, being the creatures that we are, straddling the line between “in the world but not of it” with our weight on “in the world”, we have ordination, as we have other ceremonies such as weddings, for us to show our agreement with God that this person has the gift of ministering in this special way. 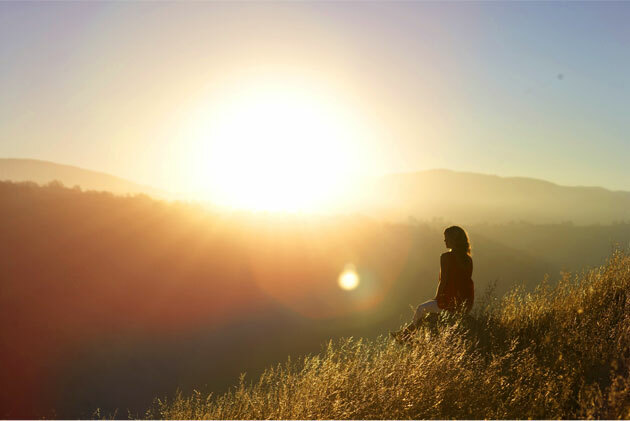 As we mature spiritually, as individuals and as followers of Christ, we pray for God’s purpose (designation) to be enough for us to recognize our calling as well as the calling of others. Excellent study. But in regards to all believers being ordained – as you touch upon at the end: Say that a six, seven, or eight year old – true, children that age preached in Sweden in early Advent time – administering the ordinances, wouldn’t that be stretching it? See Testimonies to Ministers and Gospel Workers, pages 488-90. Thanks Steiner. In regard to age, I think of the example of Samuel as a child being spoken to by God, and, thinking it was Eli, came to Eli. However, Eli knew that it was God who spoke to Samuel and then told Samuel to respond to God, which, as you know, resulted in Samuel getting a tough message from God to give to Eli. So, it appears from Scripture that God can use whomever He chooses, regardless of any barrier.